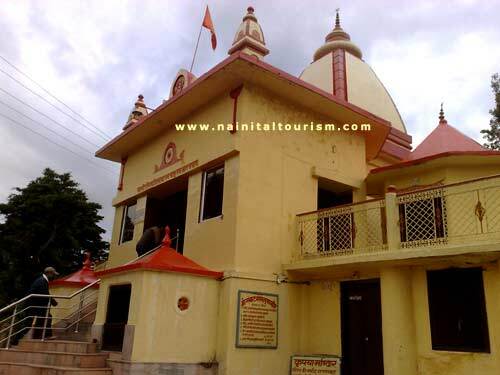 HANUMAN GARHI :- (1950 MT) About 3 kms from Nainital is the famous temple of Lord Hanumanji. HANUMAN GARHI is situated to the south of Tallital. It was built by Neem Karoli Baba, a famous local saint in around 1950. This temple is built on beautiful a hill. One can view the magnificent sun set & valley view of the Tarai from here. Watching the sun gliding down the mountains is what makes the place the most interesting. The presiding deity of Hanuman Garhi is Hanuman, a devotee of Lord Rama, who is depicted in the image as opening his chest and revealing the images of Lord Ram and Sita Mata in his heart. Other than having religious significance. Hanuman Garhi temple is also famous for its strategic location. It is situated at such a height and at such a site, from where the sunrises and sunsets are artistically visible. 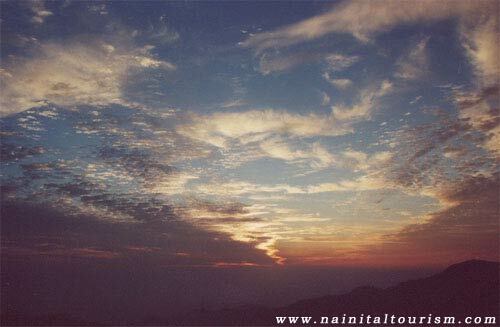 People who visit Nainital do not miss the opportunity of watching the mesmerizing view of sunset that one can get from this place. Hanuman Garhi is a must visit for people with a religious bent of mind. On the other side of the hill housing the temple are Shitala Devi temple and Ashram of Lila Sah Bapu. The best feature of Hanuman Garhi temple that one does not have to climb much. 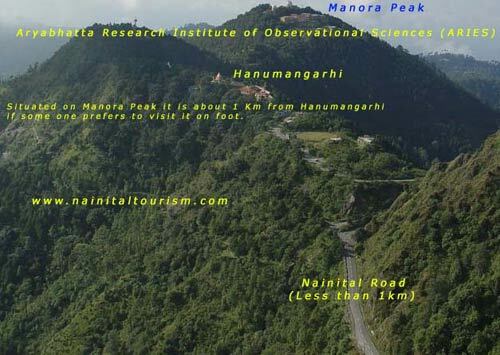 Hanuman Garhi temple is an easily reachable & motorable spot and does not need a long or steep climb.